Methadone Interactions: Can You Take It With Other Drugs? Mixing any drugs will always present a risk. This is no different when it comes to Methadone. Methadone interactions can be especially dangerous, due to the number of them Methadone has. Drug interactions with Methadone can cause serious health issues and cause both long and short-term problems. So what is that makes mixing drugs so dangerous? And why would someone decide to take a drug with so many possible interactions? 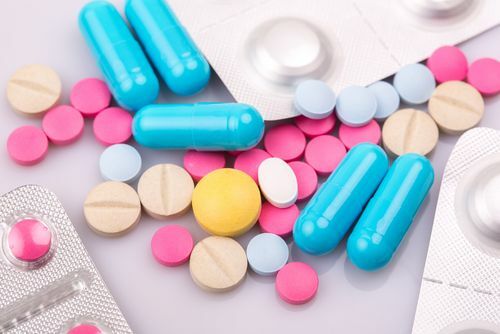 What Causes Tramadol and Methadone Use? What Makes Mixing Drugs So Dangerous? Methadone is a substance that has very similar effects to Morphine. However, it is slightly longer lasting. This prescribed drug is a well-known opioid that is commonly used to treat pain and sometimes addictions such as heroin. Despite all these positive effects, it doesn’t mix well with other substances. Mixing Methadone with other drugs can have dangerous side effects. For example, Tramadol and Methadone do not go well together at all. The two substances combined can have drastic health effects on the user, such as seizures and respiratory issues. They have even been known to cause comas, or even death on occasions when combined. When it comes to Methadone drug interaction, the interaction with Tramadol is one of the worst because of how deadly it can be. Mixing these drugs should be avoided without exception. Mixing substances, in general, is dangerous. Many users do not check drug interactions before combining them, which can make the consequences all the more challenging to deal with. Due to the number of interactions any substance can have, it is a risk to mix without checking. Mixing substances can lead to both short-term and long-term health issues. It can also in extreme cases lead to a coma or even death. This highlights the importance of knowing what you are taking, and how it interacts with other drugs. Mixing drugs doesn’t only create physical health issues but can also affect the user psychologically. This is even more evident if depressants are mixed with stimulants. This mixture of substances causes two opposing effects on the body and mind, creating highly problematic health issues such as psychosis, mood swings and severe depression. Methadone drug interactions are no exception when it comes to potential danger. There are hundreds of different drugs that interact with Methadone to varying degrees, all of which can cause severe discomfort to the user. Amongst the hundreds of substances that have severe interactions with Methadone, are Codeine, caffeine, and Ativan. These drugs and hundreds of others could have severe effects when mixed with Methadone and therefore should be avoided. 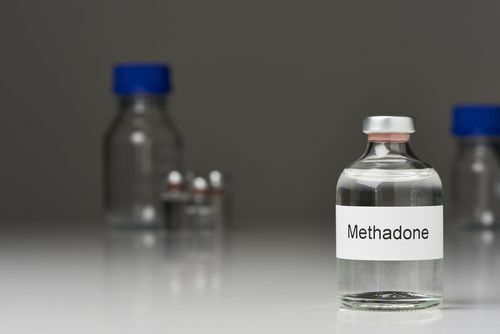 Severe reactions from mixing other substances with methadone can include anything from a nauseated feeling to severe respiratory issues such as shallow breathing or even slipping into a coma. If you are someone who regularly abuses a variety of substances, then you could be at risk of suffering from drug interactions. Polydrug abuse is very dangerous and is often a sign of addiction. It is important to get immediate medical help if you notice the signs of abuse in yourself or another. As with any substance, Methadone interactions come with different levels of severity. This Methadone drug interaction chart will help to clarify how severely Methadone interacts with others. According to the US Food and Drug Administration, drugs can also interact with medical conditions, foods, and drinks. This means if you are having a reaction to Methadone, and you know it isn’t related to a drug interaction then it could be for one of these other reasons. If you are using Methadone, and need to use another drug for medical reasons, there may be similar alternatives to that drug for your use. In addition to alternative drugs, there are also natural alternatives. These options will help you to avoid the worst interactions. Another option is to find an alternative to the substance that will not interact with the other drug you need to use. For more details on suitable replacements, it is a good idea to contact a health professional, such as your doctor. They may also be able to recommend a suitable rehab for Methadone for you to avoid drug use altogether. This will allow your body to recover completely from drug abuse and prevent any further mixing of drugs. For any further advice on where to get treatment, or finding the suitable treatment for you, call our hotline at (888)-459-5511.